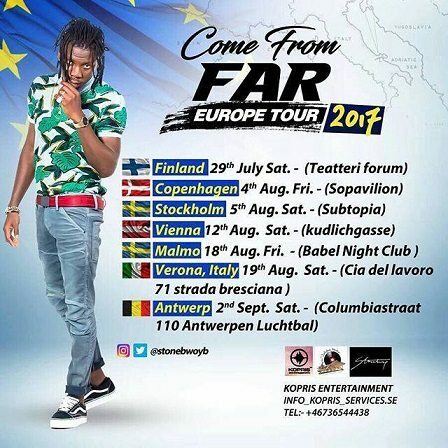 Award winning dance-hall artiste Stonebwoy will start his EU tour from Saturday, July 29, 2017 and end on September 2. Themed the “Come from Far Europe Tour 2017”, the ‘Mightylele’ man, will perform in Finland, Copenhagen, Stockholm, and Vienna, Malmo, Verona, and Antwerp. Recently performing to droves in Canada, the multiple award-winner is the author of two hugely successful albums: Grade 1 (2012) and Necessary Evil (2014). His third album: EOM (Epistles of Mama) is slated for release this year.